The statue of President William McKinley. 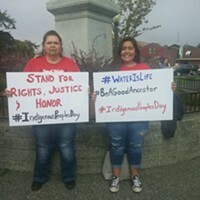 The Arcata City Council is set Wednesday to consider the fate of President William McKinley’s statue with a series of potential options ranging from taking down the 1906 tribute to putting the issue before voters. Momentum has been building in recent months to remove the bronze, the first major work by renowned Armenian sculptor Haig Patigian, although the issue has been raised several times over the years. 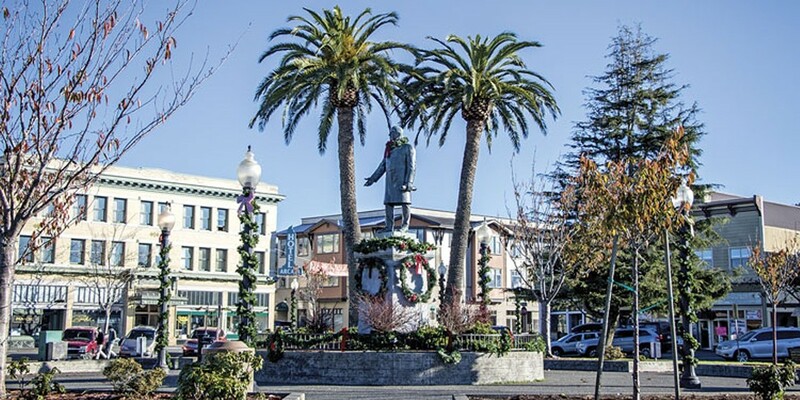 At a December town hall, more than 40 speakers gave their views on the statue gifted to the city more than 100 years ago by Arcata farmer George Zehndner following McKinley’s assassination, setting the stage for Wednesday’s agenda item. To some, it is simply part of the city’s history. To others, the work is an overt symbol of oppression and racism that itself needs to be cast into the annals of the past. 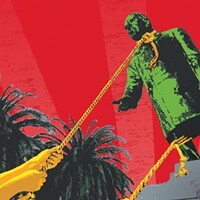 According to the staff report, removing the statue would cost somewhere between $30,000 to $60,000, including $5,000 in staff time for a General Plan Amendment, $10,000 to $40,000 for CEQA documents and $15,000 for the actual removal. Another option would be for the council to place a non-binding advisory measure before voters or for a citizen or group to put a ballot initiative to remove the statue forward in an upcoming election. Either way, the cost for the city would be about $15,000. Also on tap is a discussion on the wording of a plaque set on a large boulder in the corner of the plaza denoting the Jacoby Building's status as a California Registered Historic Landmark, which includes the offensive wording that "it served periodically as a refuge in time of Indian troubles." Dedicated in 1963, there is no mention of the systematic massacres of local Native people committed by the region’s settlers and soldiers. The 6 p.m. meeting is scheduled to take place in the council chambers at Arcata’s City Hall.